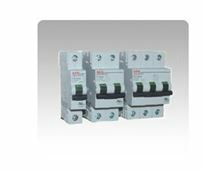 Browse here for variety of circuit breakers required for circuit protection on your industrial application or installation. Available in single pole, double pole, or 3 pole and with B, C, or D trip curves, these circuit breakers comply with industrial standards UL 489 or UL 1077. Din-rail or panel mounting available.